Use the Text tool's properties to select the font type and other formatting options you want to apply to the text. If you already wrote your text, you must first use the Text tool and select the text portion you want to format. Use the Font drop-down menu to select a font. 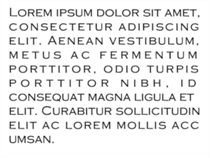 OTF fonts are supported. Use these buttons to align the paragraph. Enter a size for the text. Use the kerning field to modify the spacing between letters and characters. 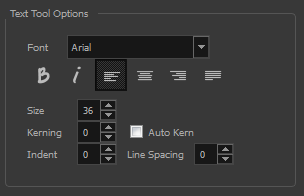 You can select the Auto Kern option to set the kerning automatically based on the font’s predefined standard. 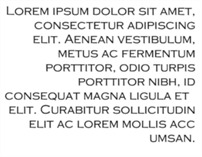 A negative value decreases spacing between each character, creating a letter overlap and a positive value increases it. 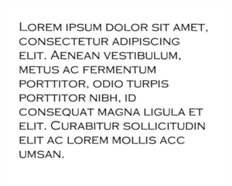 Enter a value in the Indent field to increase or decrease the indentation on the first line of your text. A positive value sets the first line of your paragraph farther to the right and a negative value sets it farther to the left. Enter a value in the Line Spacing field to decrease or increase the space between each line of text. 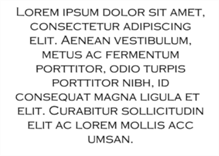 In the Drawing view, select the text object you want to break. 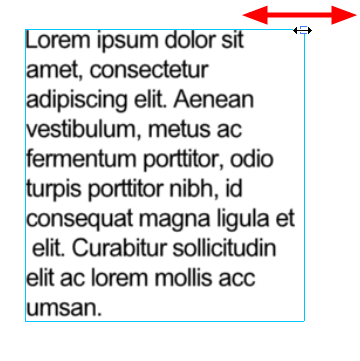 From the top menu, select Selected > Convert > Break Apart Text Layers to break the selection into a regular drawing object, with no more text attributes.